▪ South Korea, Singapore, and Japan have the three most automated manufacturing economies in the world, according to the International Federation of Robotics. The U.S. ranks eighth. In South Korea, one out of every 21 manufacturing workers is a robot. ▪ World coal production fell by 6.2 percent in 2016, the biggest drop ever recorded, according to BP’s annual review of energy trends. China’s coal production fell by nearly 8 percent, while U.S. production dropped by 19 percent. Renewable energy production increased by 14 percent, with China overtaking the U.S. as the world’s largest producer of renewable power. ▪ Mergers and acquisitions are often used as a barometer for CEOs’ confidence in the economy. But despite numerous surveys showing high C-suite confidence, the number and size of merger deals so far this year are at their lowest level since 2013. Total deal making in the first quarter was down nearly 40 percent from the same period in 2015. 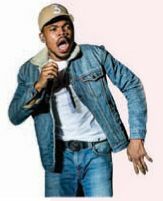 ▪ Chance the Rapper has never released an album or signed a record deal, choosing to distribute all of his work via free streamingmusic services. The 24-year-old recording artist still made $33_million last year from performances and endorsement deals. ▪ China is no longer expected to overtake the U.S. to become the world’s No._1 movie box-office market this year, thanks to a slowdown in ticket sales and a drop in the country’s currency. The U.S. is projected to keep the top spot through 2021.